The Australian dollar traded slightly lower today, continuing feeling the pressure of Reserve Bank of Australia’s stance, which shifted from cautiously hawkish to neutral. Surprisingly, the Aussie performed better versus safer currencies despite investors’ mood being spoiled by worse-than-expected macroeconomic data in Great Britain. As for economic reports in Australia itself, today’s docket was empty. The rest of the week will be different, with home loans and the NAB business confidence released on Tuesday, the Westpac consumer sentiment released on Wednesday, and Melbourne Institute inflation expectations released on Thursday. 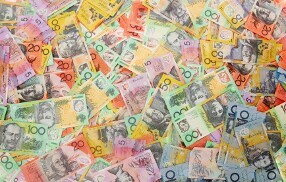 AUD/USD fell from 0.7087 to 0.7048 as of 13:38 GMT today. At the same time, AUD/JPY rose from 77.79 to 78.04.